The services digital ocean provide are quite basic – you get cloud in the cloud server and DNS management, that’s all. No fancy load balancing, hosted databases, hadoop clusters, etc.. Compared to AWS, for example this could be seen as a disadvantage, but don’t judge just yet. Digital Ocean have created the fastest and most convenient cloud technology to help you easily and more efficiently manage your infrastructure so you can get back to coding. 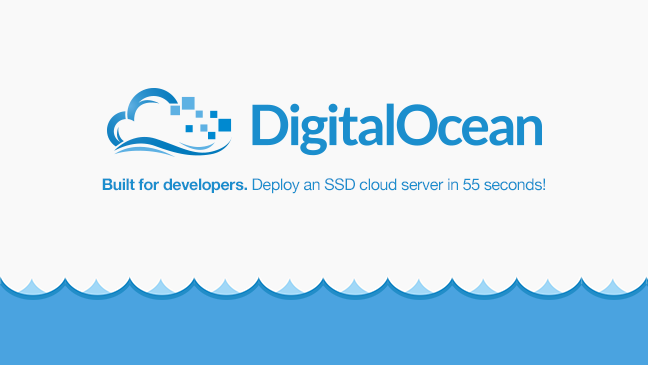 Digital Ocean provide all of our users with high-performance SSD Hard Drives, a flexible API, and the ability to select the nearest data center location. SSD hard drives will improve performance of your site dramatically, from faster disk i/o performance. Needless to say, more system resources will be allocated, if you choose to create or upgrade to a larger digital ocean cloud. If you already have a digital ocean cloud in use, and just want to upgrade (or downgrade) the RAM. Also, the number of CPU cores instantly, you can always do a “Fast-Resize” on your cloud. That can be achieved with just a few clicks on the control panel. Support tickets are not necessary at all and the system downtime required for that change is minimal. If you would like to do some per-production testing for a new website, or application, you can always spin up a small size server to do all the tests you want, and the cost for that will be less than a cent per hour. As a part of this Digital Ocean Review, we tested the performance of 512MB, 1GB, and 2GB Cloud droplets and more. Unlike the usually oversold OpenVZ solutions, Digital Ocean’s KVM based virtualization guarantees the allocated CPU and RAM resources. The lightening fast SSD disks are a big help in improving overall performance, as already evident during the creation process of a fresh Cloud. Digital Ocean provides its users with two types of mechanism for data backup and recovery. Snapshots of your Digital Ocean instance can be manually taken at any point in time and that requires your Cloud be offline for just a minute or two.  Automatic backups are done periodically and without the need to bring your servers down. The costs for snapshots and backups are very reasonable. Automatic backups for the least expensive server configuration cost just a dollar per month. Digital Ocean ’s technical support is superb. Tickets are usually answered in a matter of just minutes. The technical support people are friendly and eager to help. An IRC channel is officially maintained for users who are interested in participating in real time chat. There is a network status website thoughtfully hosted on a separate domain. DigitalOcean maintains a large number of tutorials on its website. Linux first-timers can just rely on those step-by-step guides to get a website or an application up and running easily. The tutorials are up-to-date and easy to follow. Comments are allowed so readers can interact with the writers or the huge DigitalOcean community if they have questions. There is a forum where users can exchange ideas as well. It’s also commendable that DigitalOcean is very active on User Voice, a customer feedback system. Digital Ocean beats most cheap cloud competitors hands down with its superior combination of SSD, KVM and a long list of other features. 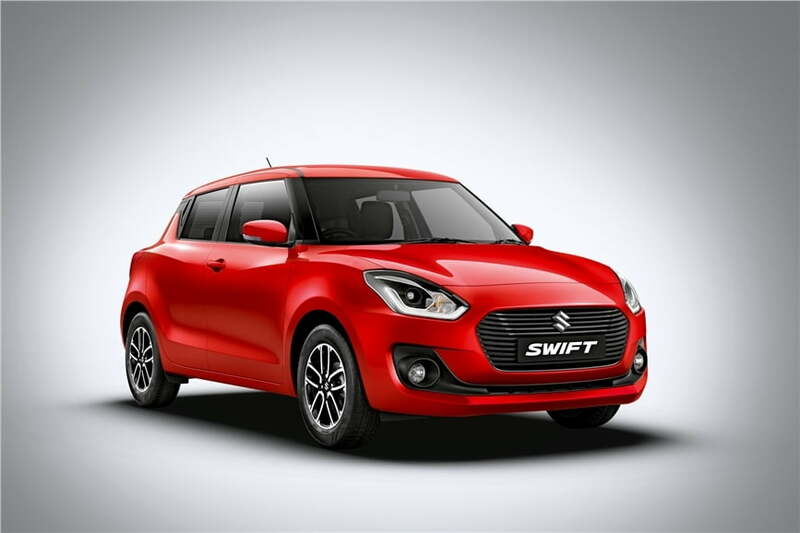 However, it is absolutely not just competing in the low-end server market. In fact, the comparison chart on its official website only includes the most reputable competitors like Linode, Amazon, and Rackspace. For $20 a month, Digital Ocean offers twice the RAM, much faster disks, a lot more included monthly transfer, and much cheaper extra transfer than Linode, although Linode’s CPU is slightly more powerful. Digital Ocean is also leading Linode in payment and billing: Per hour billing for cloud and “Fast-Resize” usage, and accepting PayPal as a payment method. If you do a lot of encoding, you should probably choose Linode for more raw CPU power. For those who prefer fast disk IO performance and larger size of memory, choosing Digital Ocean as oppose to Linode is a no-brainer. We have conducted disk IO performance comparison tests and the results indicated that Digital Ocean’s SSDs are at least 3 times faster than the competitor’s spinning drives. 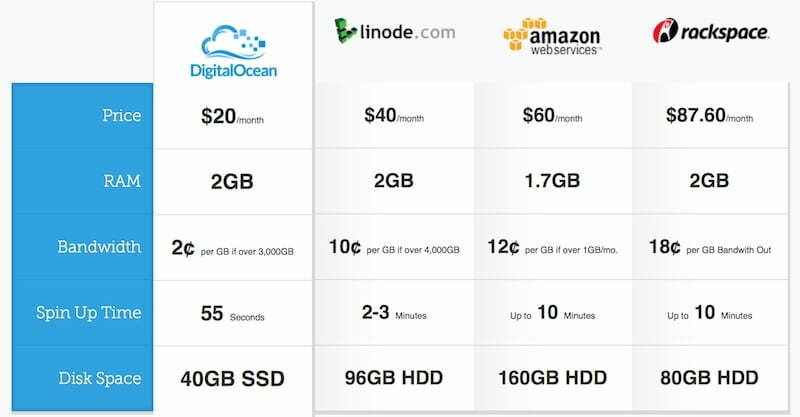 Well, here is the latest update: Both Digital Ocean and Linode now offer similarly priced SSD hosting plans. The competition has brought Linode’s prices down. However, Digital Ocean still offers much cheaper extra transfer. Digital Ocean is not just a budget cloud provider. It offers a great value for money. How to Choose the Best Web Hosting for WordPress ??? We like what Digital Ocean cloud has to offer at a price that can’t be beat: KVM, high performance SSD, tier-1 bandwidth, a simple yet powerful control panel with a long list of features, excellent scalability, and superb support. We are now using Digital Ocean for most of our web development projects and we have recommended it to many of our clients.